Hey guys! 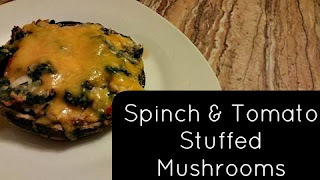 Today I am going to share a stuffed mushroom recipe! This one literally came to me in the middle of the grocery store. I saw these portobello mushrooms on manager special and that was all she wrote! 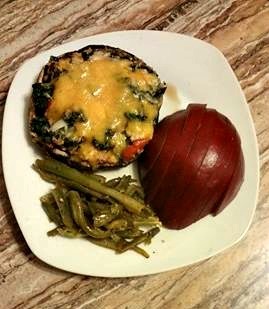 This is my version of a stuffed mushroom, the best thing about this recipes is that it is so flexible! another combination you could do is kale and roasted peppers. 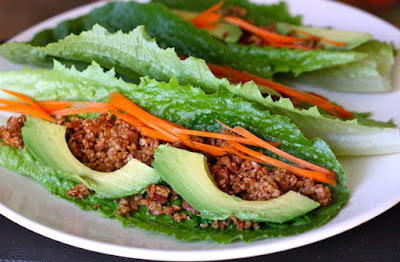 Recipes that are flexible depending on what is in the fridge are the best in my opinion! I mean, how many times do you find an awesome looking recipe on Pinterest and then go to your pantry to discover that you do not everything you need? For me, it happens all of the time! This recipe can be done in the big portobello mushrooms or in 2 or 3 of the smaller ones, this is a perfect replacement for meat. Everything in it is nutrient rich and delicious, if you are a new vegetarian then you won't even notice that the meat is missing. 2. 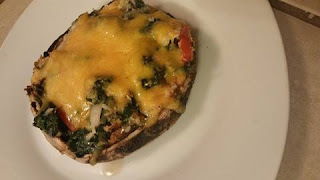 In a bowl, mix the spinach tomato, garlic, two-thirds of the cheese, basil, salt and pepper. Set aside. 3. Remove the stems from the mushrooms, we will not be needing these. You can cut them up and mix them into the stuffing or use them for another recipe. 8. Bake for another 10-15 minutes or until cheese is bubbly.